Data centers are supposed to be technology driven and on the cutting edge of technological advances. But, when technology changes in the blink of an eye, data center infrastructure and programs can very quickly become outdated. A data center is the core of any IT department and when things are outdated they no longer run smoothly or independently and become quite problematic. As a way to mitigate these issues and hopefully avoid them altogether, many data centers are making the move toward automation to support cloud computing. When automation works as it should, processes run smoothly and, ideally, on their own, to perform desired tasks and keep a data center functioning as it should. Server layer. Server and hardware automation have come a long way. As mentioned earlier, there are systems now available which take almost all of the configuration pieces out of deploying a server. Administrators only need to deploy one server profile and allow new servers to pick up those settings. More data centers are trying to get into the cloud business. This means deploying high-density, fast-provisioned, servers and blades. With the on-demand nature of the cloud, being able to quickly deploy fully configured servers is a big plus for staying agile and very proactive. Software layer. Entire applications can be automated and provisioned based on usage and resource utilization. Using the latest load-balancing tools, administrators are able to set thresholds for key applications running within the environment. If a load-balancer, a NetScaler for example, sees that a certain type of application is receiving too many connections, it can set off a process that will allow the administrator to provision another instance of the application or a new server which will host the app. Virtual layer. 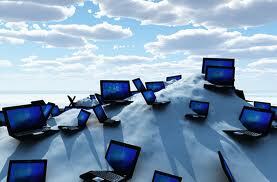 The modern data center is now full of virtualization and virtual machines. In using solutions like Citrix’s Provisioning Server or Unidesk’s layering software technologies, administrators are able to take workload provisioning to a whole new level. Imagine being able to set a process that will kick-start the creation of a new virtual server when one starts to get over-utilized. Now, administrators can create truly automated virtual machine environments where each workload is monitored, managed and controlled. Cloud layer. This is a new and still emerging field. Still, some very large organizations are already deploying technologies like CloudStack, OpenStack, and even OpenNebula. Furthermore, they’re tying these platforms in with big data management solutions like MapR and Hadoop. What’s happening now is true cloud-layer automation. Organizations can deploy distributed data centers and have the entire cloud layer managed by a cloud-control software platform. Engineers are able to monitor workloads, how data is being distributed, and the health of the cloud infrastructure. The great part about these technologies is that organizations can deploy a true private cloud, with as much control and redundancy as a public cloud instance. Data center layer. Although entire data center automation technologies aren’t quite here yet, we are seeing more robotics appear within the data center environment. Robotic arms already control massive tape libraries for Google and robotics automation is a thoroughly discussed concept among other large data center providers. In a recent article, we discussed the concept of a “lights-out” data centerin the future. Many experts agree that eventually, data center automation and robotics will likely make its way into the data center of tomorrow. For now, automation at the physical data center layer is only a developing concept. This entry was posted in Data Center Design, data center equipment, Data Center Infrastructure Management, DCIM and tagged Data Center. Bookmark the permalink.